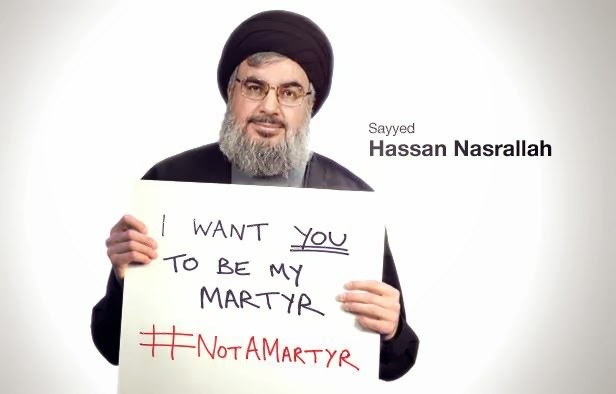 If you were online during the holidays, and more specifically after the assassination of Minister Mohammad Chatah, you would have probably been exposed to the #NotAMartyr campaign. This campaign that started from a blog post has undoubtedly went viral, especially when international media outlets and websites picked up on it. It was a way for the Lebanese people to express their opinion about the recent explosions and show the world that they are not going to take it anymore… well theoretically. We have seen many similar campaigns in Lebanon and the region that revolve around some form of social change. However, we are yet to see a campaign that has actually made any tangible change to society or people's behaviors. These campaigns mostly serve to raise awareness about an issue so that people start widely talking about it. For the #NotAMartyr campaign in particular, the issues that are being discussed are not new at all. Everyone is aware that we don't have proper infrastructure in Lebanon (such as electricity for example) or the shaky political situation where innocent people can be victim to explosions. People are also aware that the Lebanese population are fed up about the situation and it is not new as well. Therefore, I see that what this campaign is achieving right now has been done before and is redundant since there hasn't been any attempts to find a solution to the problems. Many campaigns start of as a personal project to bring fame or attention to its founders, and we've seen that in several social campaigns over the years. The founders usually get caught up with media interviews and the spotlight. After that, the campaign usually disappears and they move on to another idea that might get them into the spotlight again. When there are too many organizers, there becomes so many goals and ideas that it becomes chaotic to run the campaign as too many cooks ruin the broth. If there are too few organizers, they get exhausted running the campaign pro-bono after a while and it fades away. The interaction from society fades away after a while and it becomes tough for the organizers to refuel people's interests. This is especially evident when the public does not witness change directly. Social media is not enough to instigate change. Contrary to popular belief, the Arab Spring was not fueled by social media, but was rather publicized to the world using it. It was backed by a lot of funders (either politicians, companies, NGOs. etc...) as well as on-the-ground activists in order to have an actual effect. Therefore these social/political campaigns need to invest more in traditional PR which helps creates connections with volunteers and people/companies who are willing to contribute. Many times when people interact or engage with a social media campaign relating to social change, they get the "good feeling" that they have done a good deed when in fact their contribution doesn't really result in a tangible solution. Expressing ourselves on social media can trick us into thinking we have done something but actually changing very little. The most extreme example of this is those who believe that by liking a photo of a sick child in Africa as part of a chain message, it will provide him/her with medicine or food that is needed to survive. People who are participating in the #NotAMartyr campaign are no more than nagging about their problems publicly. The feeling of getting something off their chests (or minds) can be mistaken for a social contribution and a step towards a solution, especially that it is being done collectively. I am in no way saying that I am against the premise of this campaign, even though I do not agree with the use of the word martyr in this context. What I am trying to say is that people should not get their hopes up that this campaign will actually change anything. A month after this campaign has started, it has virtually faded away to the social media graveyard only to be revived for a few hours after every explosion. As of yet, there has been no tangible effort to gather resources and people to turn these words into action. The creator is still sunbathing in the glory that it got him while the Lebanese public are holding to a false hope of change. A version of this article has appeared as the editorial of the February issue of Cloud961 magazine. You can read the full issue here.